Lock in a great price for The Waterside Hotel and Leisure Club – rated 8.4 by recent guests! Clean room with good wifi service. Good location for the next business day. Apart from the room being quite small the staff were fabulous so genuinely friendly. Breakfast was cooked to order and very nice. 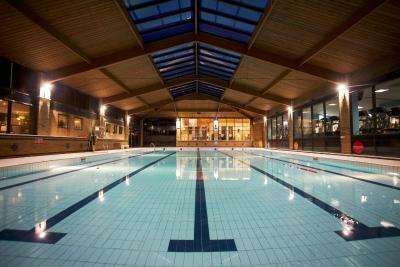 Had a steam and a swim the leisure facilities were very clean. The only thing to like about this club, if you are just there as a traveler and not a gym user, is the location. Clean, has a pool an gym. Close to airport and town. The check in experience from Red and continued customer support from him was excellent. I am a Director for Hilton Hotels and Red's service was as good as i have seen anywhere in the world. Well done! Everything went well. My wife and I enjoyed ours time and stay at this hotel. Thank you. Clean and comfortable room. The breakfast (which is extra) is excellent. We also had an excellent meal in the bar after we arrived. Safe and secure parking on site. General ambience of hotel was relaxed. Very helpful and friendly staff. 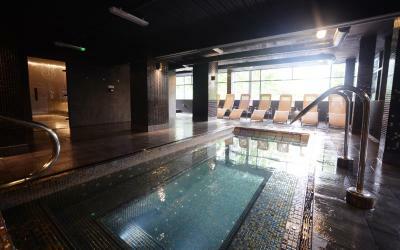 Spa and swimming pool facilities very good. 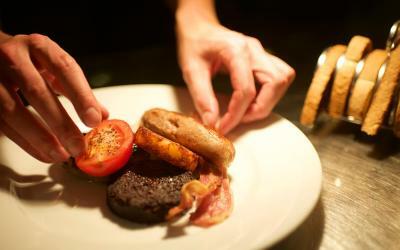 Food catered for dietary needs without any problems. Location was ideal for our requirements. I'm sure the breakfast was great, though I myself only had coffee. I like the coziness of the hotel, which is more appealing than large city hotels. One of our top picks in Manchester.Set in 8 acres of landscaped gardens on the banks of the River Mersey, The Waterside Hotel is just 10 minutes from Manchester Airport. There is a restaurant, leisure center and free Wi-Fi. The comfortable rooms at Waterside each have a private bathroom, tea and coffee facilities and a flat-screen TV with Freeview. There is also free parking and a 24-hour front desk. 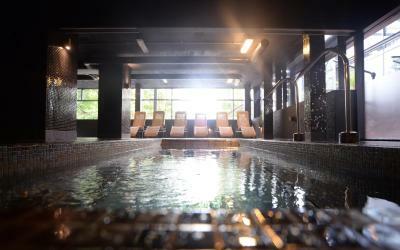 Guests have use of the Waterside Leisure Club, which features a 100 feet swimming pool, a hydrotherapy pool, thermal suites, saunas, steam rooms and a gym. There are free weights. The Restaurant serves a varied menu for evening dining. 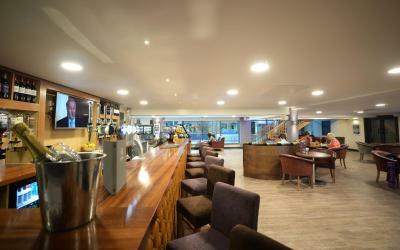 There is also the Lounge bar offering a menu throughout the day and evening, as well as takeaway sandwiches. 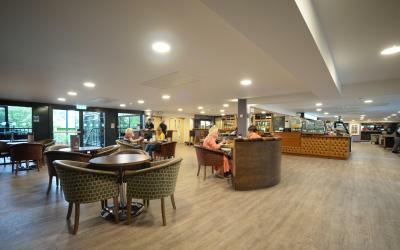 Located in Didsbury, The Waterside Hotel has easy access to the M56 and M60 motorways. Manchester City Center is a 15-minute drive away and Old Trafford can be reached in 20 minutes’ drive. Didsbury is a great choice for travelers interested in culture, entertainment and culturally diverse food. 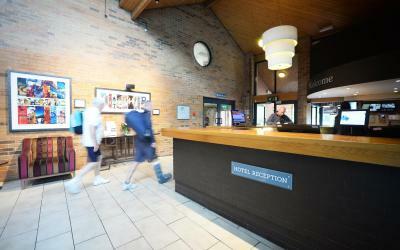 When would you like to stay at The Waterside Hotel and Leisure Club? A small double bed (4-foot wide). These rooms have an en suite shower, Wi-Fi and Smart TV. Two single beds. These rooms have an en suite shower, Wi-Fi and Smart TV. One king size bed and a sofa bed, these rooms have an en suite bath, Wi-Fi and Smart TV. King size bed. These rooms have an en suite bath or shower, Wi-Fi and Smart TV. King size bed. These rooms have an en suite wet room, Wi-Fi and Smart TV. 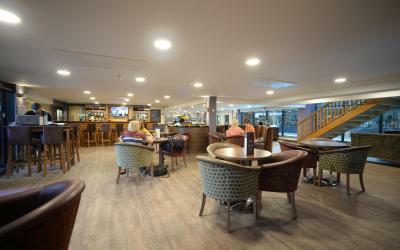 The Waterside Hotel & Leisure Club offers comfortable bedrooms with modern facilities in a fantastic Location. Perfectly situated in South Manchester the hotel is ideal for access to Didsbury, South Manchester Business Parks, Parrs Wood Complex & Stockport. 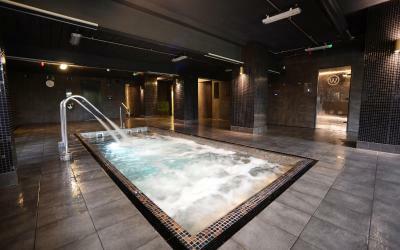 It has excellent transport links to the Etihad Stadium and Old Trafford. Hotel surroundings – This neighborhood is a great choice for travelers interested in culture, entertainment and culturally diverse food – Check location Great location - show map Guests loved walking around the neighborhood! 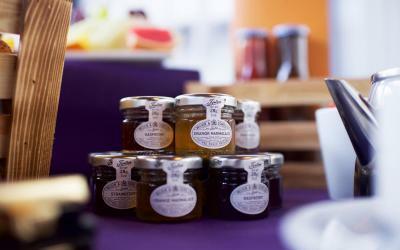 House Rules The Waterside Hotel and Leisure Club takes special requests – add in the next step! The Waterside Hotel and Leisure Club accepts these cards and reserves the right to temporarily hold an amount prior to arrival. I booked a king size room. Safe to say it’s no bigger then a single room, I would get to see a double or single room after that. I got 6 coat hangers behind a mirror. The room was so cramped. Also the drinks weren’t so cheap. £22 for 2 gins?! The girl was cleaning (hovering) and I asked if the bar was open, she said yeah. Then took off her coat, dropped the hover and cane and served me but I had to instruct her how to make the drinks as she said she doesn’t drink gin. Just not the service I was expecting but the room for a king size was horrific. Please see the photos. I didn’t get any gowns in the room (considering it has a great spa you would think they would add gowns) also there was no room for them as the room and bathroom was tiny. The spa was by far the best bit and the reason I actually booked the hotel. The spa and steam rooms etc were brilliant and clean. The locker facilities looked good to. Helpful reception staff, the girls I met were friendly. The staff were friendly and welcoming. The bedroom while smaller than a standard Double room had everything we needed and the bed was so comfortable. The shower was great and bathroom spotless. We had a lovely meal in the bar with partner having the steak( best he had in a long time) and I with the butterfly chicken burger which was lovely. 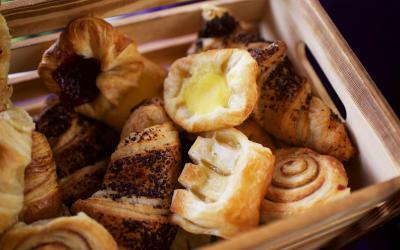 Breakfast was fantastic with a great choice and lots of fruit and fresh baked items. 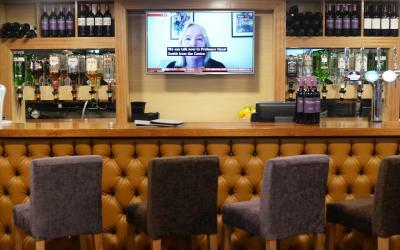 TV very loud everywhere in sitting area so no quiet space in bar area where food was served. Room had an outside staircase immediately outside window which was used by people smoking and standing talking. water pipes by room and noise from room above. Room small but OK. Not quite what I expected for what I was paying! Very friendly staff and lovely clean place to stay and great location close enough to Manchester center. Only being very critical Re food. They couldn't make a simple Sandwich or toastie for my son. It was only what was on the menu that they could make. No draft beer left on sat evening for my dad. Staff were every so friendly and went above and beyond to help us settle in. We arrived 3 hrs before checkin time and the staff found us 2 rooms straight away. Use of the pool was great especially for my 7 year old son. We were even allowed to use the pool after checkin time. Rooms were very clean and up to date decor. While checking out staff were able to print off our boarding passes. This is our second year staying here and we will Definitely be coming back next year. The only thing letting it down was the bedrooms, they were small even the king size room was small and very plain and basic. The bed and the pillows were uncomfortable and the heating kept clicking and making noises in the ceiling all night. There wasnt a wardrobe to hang your clothes, it was a stand with a mirror attached so you could only hang a couple of items on it. The hotel was lovely and clean, the staff were very friendly and professional, willing to help even offered to lend me cuff links as i had forgotten them. The Pool and the hydro pool were lovely and all kept very clean. Facilities fabulous staff great one of which is Racheal but all fab didn’t get all the names room small but well thought out for hair drying loved it gym fab hydrotherapy will definitely be back near to where my daughter lives and easy access to city centre would recommend it 100%. The staff were incredibly helpful, especially the night staff. The lady who checked us in late was great!